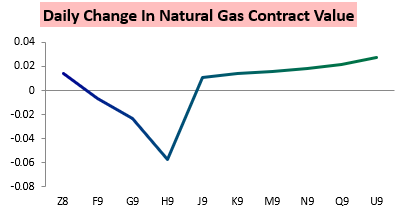 It was a slow natural gas trading day by recent standards, yet the December contract still saw a range of 20 cents with large, quick moves in both directions as weather models bounced around and December futures options expired at the settle. Heavy selling into the settle cut into the December gain on the day, with the contract settling up slightly as later winter contracts were hit harder. In the morning there were some modest GWDD additions in Week 2 and that combined with “lingering cash strength or into options expiry $4.25-$4.3 resistance could get tested again…” In fact, resistance was tested first off AM cash strength and then again into options expiry, with a brief poke above before prices crashed back below into and after the settle. 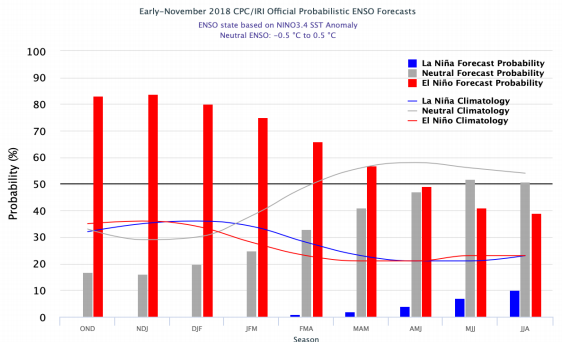 Some colder afternoon American weather model guidance in Week 2 helped prices recover a second time today, which the CPC picked up on. 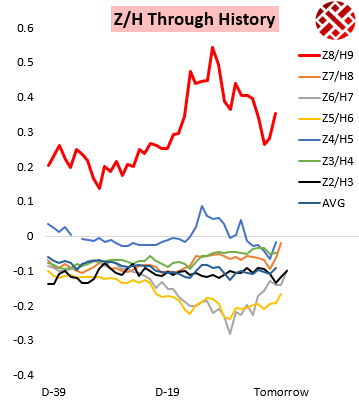 Yet clearly storage concerns overall eased with such relatively large March contract weakness. 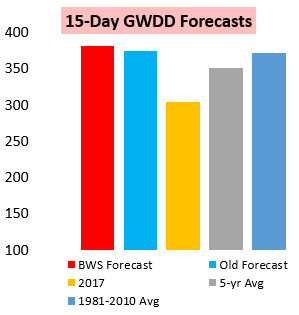 This was something we broke down for clients in our subscriber-only live chat today, where we fielded questions on our December weather forecast as well as natural gas pricing risk and the latest weather-adjusted demand balances. Of note were power burns really picking up again relative to past years on the cold shot peaking today. 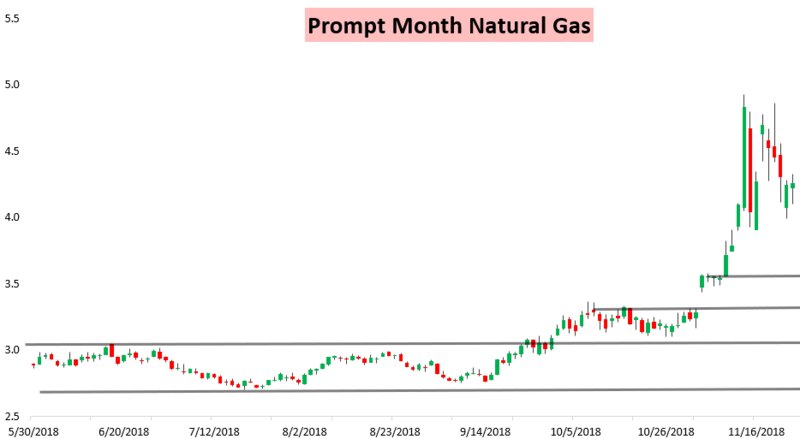 Weather remains the main driver of natural gas price action, and in our numerous daily reports we look at the latest Week 1, Week 2, Week 3-4, and long-range pattern expectations to break down exactly how we see weather as likely to impact prices moving forward. The Dangerous Game Both Powell And Trump Are Playing When Will The Bull Market End?